I recently blogged about the world’s first automatic chronograph, Calibre 11, developped by Heuer, Breitling, Buren en Dubois-Depraz. 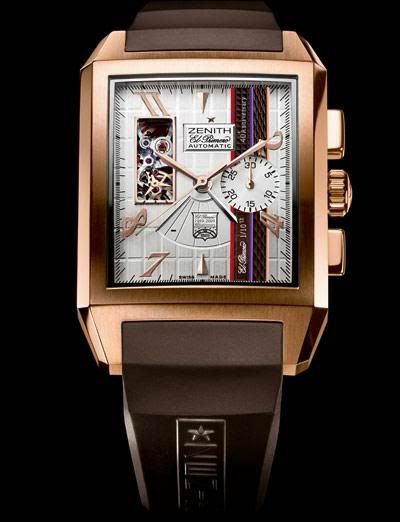 Not much later Zenith launched their first automatic chronograph, the famous El Primero. 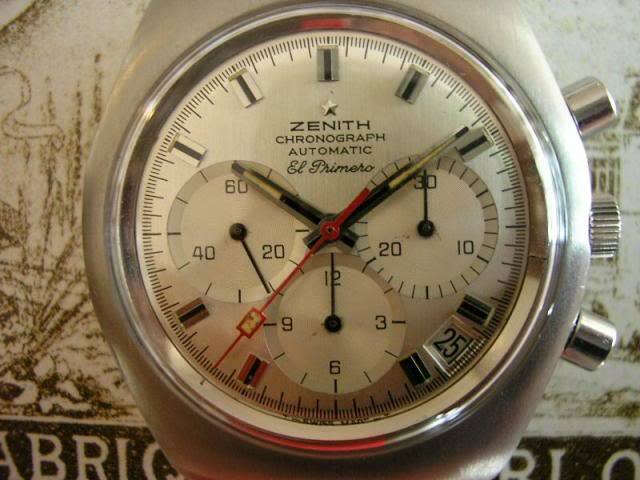 This means that the Zenith also celebrates the 40th of the El Primero. 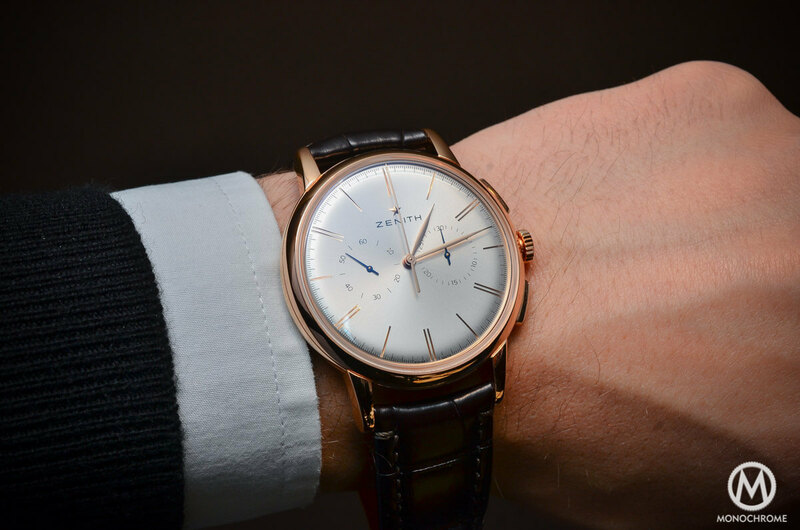 To celebrate this Zenith comes with 5 Anniversary models. 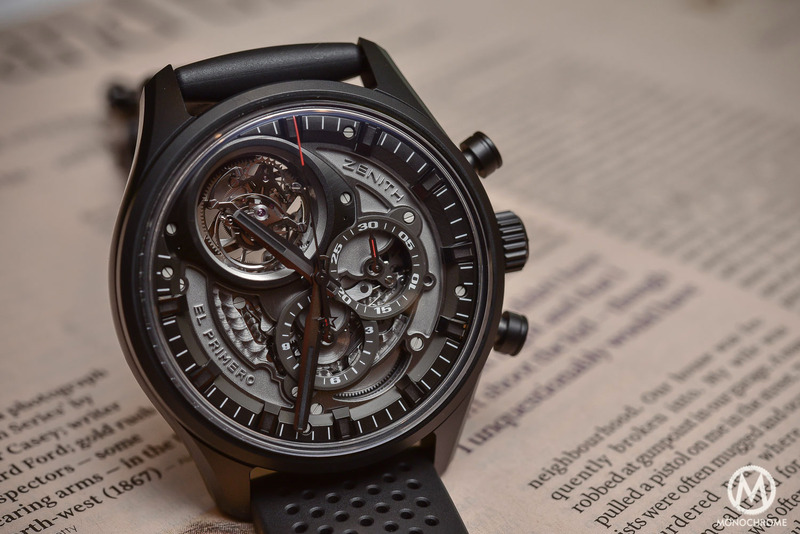 The El Primero was developed in 1969 and rapidly became a standard of reference among automatic movements. 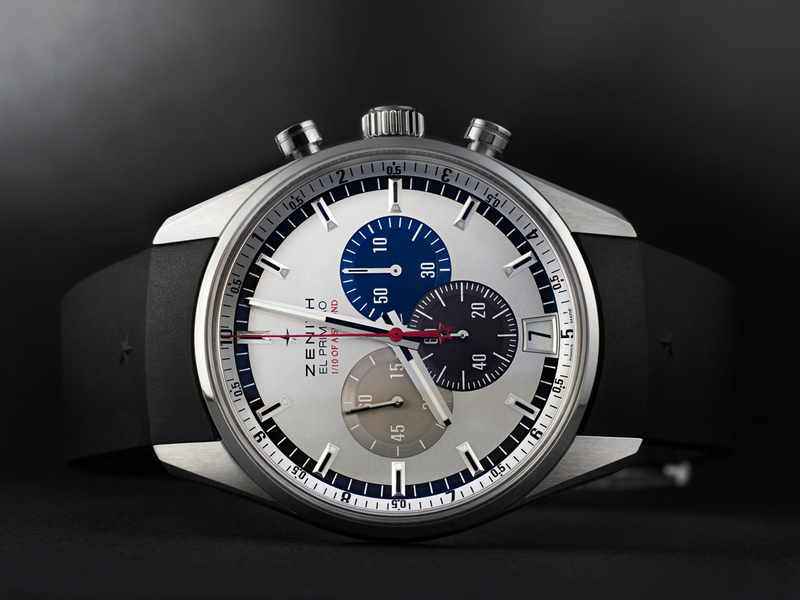 The El Primero is still considered by many to be the best automatic chronograph. 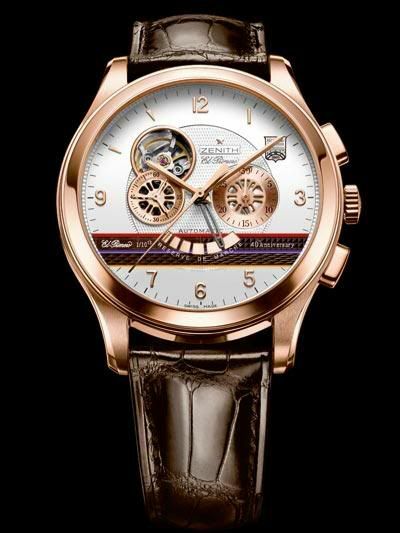 The first was a caliber 3019 column wheel chronograph with 31 jewels, beating at 36,000 beat per hour, it capable of measuring short time intervals to 1/10th second. The El Primero with it’s precision enables it to succeed in passing the tests of the COSC (Swiss Official Control of Chronometers). The chronograph function can be operated with two push-buttons and it features an instantaneous date-change mechanism. It has a power reserve of more than 50 hours and this movement can be fitted with other complications, like a date-day-month indicator, a moonphase and a fly-back. 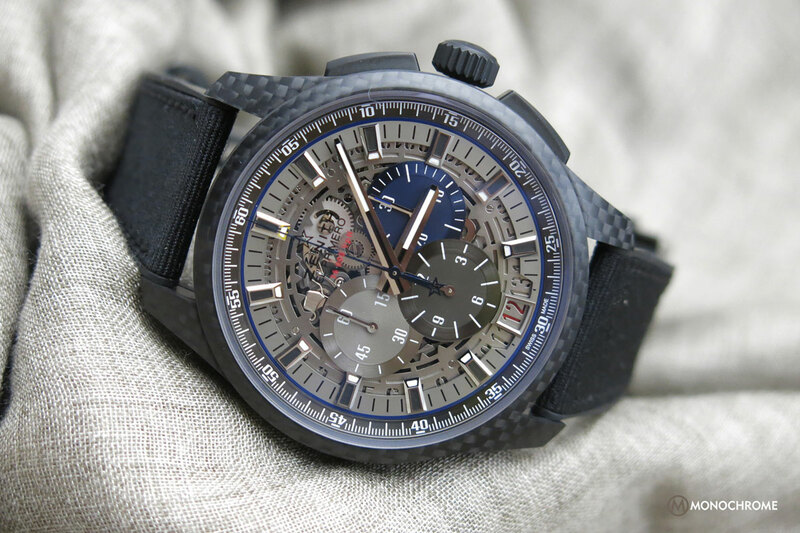 Although i love the heritage of Zenith’s El Primero movement i’m not that crazy about the more recent design Zenith’s watches featuring this beautiful and admirable automatic chronograph. I think these Anniversary models proof my opinion about the recent design 😉 Take a look at two of the Anniversary models Zenith released celebrate the 40th birthday of their world famous chronograph.